It happens every year. Sometimes twice. Every year at the trade deadline or when the free agency period opens you can imagine fans lining up along the proverbial Roberto Clemente Bridge ready to take the plunge into the waters of despair that are the Allegheny River. Why? 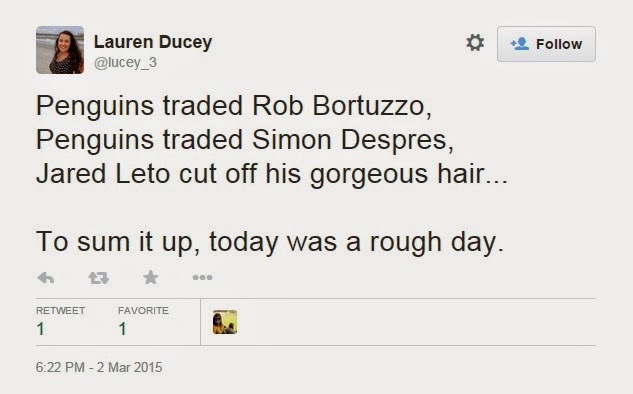 Because player X has been traded or signed with another team. The following is a list players whose contracts expire after this season and will become unrestricted free agents that are currently on the roster. This list is being provided so that you can get the best spot on the bridge of your choice like it's Black Friday at a Wal-Mart. Of the players listed above, I only expect Blake Comeau (who I still can't believe the Penguins got at 700k) and either Paul Martin or Christian Ehrhoff to be back. Comeau has earned himself a raise and, as long as another team doesn't throw a boat load of money at him, should be able to re-sign with the Penguins. Martin and Ehrhoff each earn 5 million and 4 million respectively. Only re-signing one of them opens up millions of dollars to spent in free agency. The defencemen for next season seem to be locked up with Letang, Martin/Ehrhoff, Maata, Pouliot, Lovejoy, Scuderi, and either Harrington or Dumoulin coming up from Wilkes Barre. 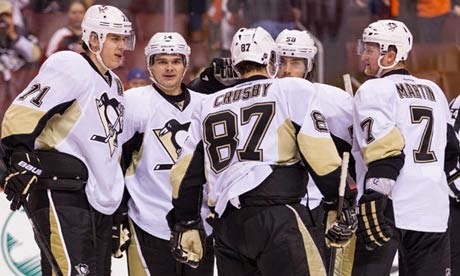 The top 6 also seem to be set for next season with Crosby, Perron, Hornqvist, and Malkin, Kunitz, and Comeau. This, once again, leaves the Penguins needing to fill out the bottom 6 in free agency. Ideally, the Penguins could use some money on another top 6 forward and move Comeau to the third line, along with a (hopefully) recovered Pascal Dupuis. Another scenario involves Kasperi Kapanen making the club as a top 6 forward, but this might be a few seasons away. The point of all of this is to not get too attached to specific players on a team. With the economics of the game there is so much roster turn over from year to year that it is impossible to predict who will stick around on a team and for how long. Even superstars could be off of a team due to a career ending injury at any moment. 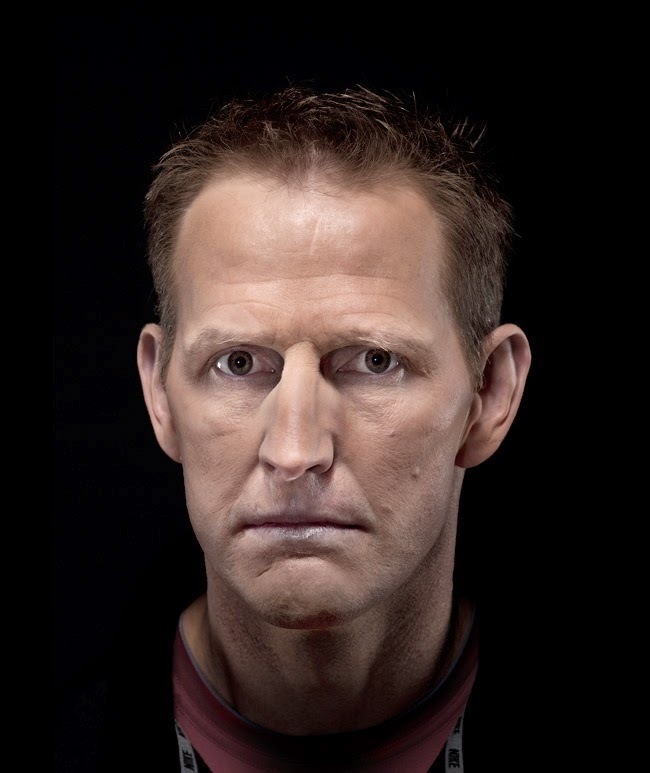 My all-time favorite player for the Penguins, Gary Roberts, was basically a Penguin for a cup of coffee. I also foolishly bought a Max Talbot jersey after his Game 7 Stanley Cup performance and then he became a filthy Flyer. Yeah, it was upsetting to lose those guys, but I understood. New guys came along to take their place and I still love my Penguins. So step back from the ledge fellow Penguins fans, it will get better until it happens again next season.